Young Davie is a talented musician from the Solomon Islands and recently graduated from the University of the South Pacific. He has featured with bands like De Melanezians, Nasio Domoni and Kula kei Uluivuya. This article appeared on the Fiji Times in 2013. What started off as casual talk over lunch, turned out to be the start of a musical journey which eventually translated into the formation of the newest group to hit the local music scene – Young Davie and Da Melanizianz. The group was formed by Solomon Islander, David Bogese (who, back home, is popularly known by his stage name ‘Young Davie’) and local musician, Bani Dunn. They have just released their first album titled Da Melanizianz, through the Procera Music label. Davie used to go to the Curry House for lunch where he met Bani Dunn, then manager, who shared the same passion for music as he did. “Bani used to work at a restaurant near USP and I used to go there for lunch. Some of my friends later told him that I was a big musician back home. We got talking and decided that we should do a song together. “It started off like that, and before long, we progressed from making a song to recording demos that we hoped to take to studios, but from there, we just decided to do a full album,” Davie said. Davie is an accomplished musician back in the Solomons, the son of a well known musician, and a musical prodigy himself. To record a Fijian album has always been an idea he had since coming to Fiji three years ago as a student at the University of the South Pacific. 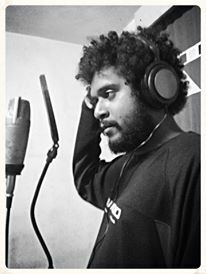 The third year management student was looking to break new grounds with his music career and collaborations with Fijian artists. “Well, back home, I was a famous musician, and when I came here, even though I continued to make music and send it back home, I didn’t meet anyone who was interested in music until I met Bani. And yes, I was really interested in making a Fijian album,” Davie said. As a solo artist, Davie had already released five albums, which have gained much popularity back in his island home. “I recorded my first ever album as a grade six student, but I first started off with my dad who is known as Saba. He bought my first guitar when I was just four-years-old. I remember, my first album became an instant hit,” Davie said. “I believe a collaboration with local artists here will help my music. Also my love for music is one of the main factors behind this album, but I really think the main man behind this all is Bani,” Davie said. Through Bani, the duo managed to rope in Matamaivere villager, 26-year-old Lepani Komai who is related to Bani, and a former vocalist for Cagi Mudre Ni Delai Rova. “I first got involved after Bani told me about David, that he wanted to record a Fijian album. That was how we first met and have worked together ever since,” Komai said. Komai, who is currently living in his village, had to make the commute during the time the trio started on their album and along the way, make some sacrifices and cop flak from his family. “Yes, it was difficult at times, especially since I have to take three buses in order to reach our studio, but I think it was worth it because now, we have managed to launch the album and hope it takes off from there,” Komai said. After first meeting up in June last year, the trio worked on perfecting their first album as well as producing other originals and singles, which they have added to their growing list. The 10-song album, which was released last Wednesday by Procera, is a mix of iTaukei, English and Solomon Islands lyrics masterly put together by the trio to the beat of island reggae. “It is a multi-style of music with island reggae being the prominent sounds, but we’ve mixed it up a bit by incorporating other Melanesian styles of music,” Davie said. During the course of experimenting with different sounds while in studio, the trio had already recorded and mastered singles. Some of these singles have been well received by radio stations and given ample air time. “One of our singles has been released in the Solomons, and according to information I received, is gaining popularity over there,” Davie said. Running late for his USP classes by now, the realisation that he’s managed to break new barriers was enough to keep Davie patient for the half hour needed to get through our interview.